there is no doubt about it, Technology can help in the hills. It's been raining for hours. You are holed up in your tent and it's looking like a zero day. what would you do without candy crush saga? 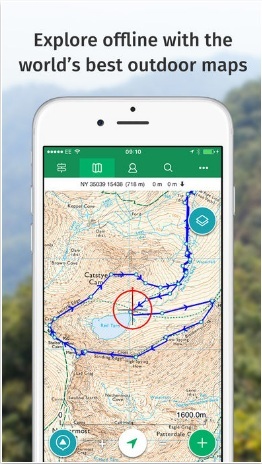 The ubiquitous smartphone is never a failsafe replacement for practical experience or knowledge such as map reading skills but there is no doubt that you can go a long way in the mountains with a selection of applications aimed at hiking, backpacking and mountain enthusiasts. There are loads of great apps that you can download on your Android or iPhone for finding and recording routes, planning and journalling your adventures, networking with fellow outdoor lovers, learning first aid and survival techniques, and even some campfire stories for fun. We have picked 25 of the best apps, that are currently available on the market, to make your mobile phone a great companion on your adventures. As always, they are not in any particular order! AllTrails has the largest collection of detailed maps and trail guides for hiking, biking and more. 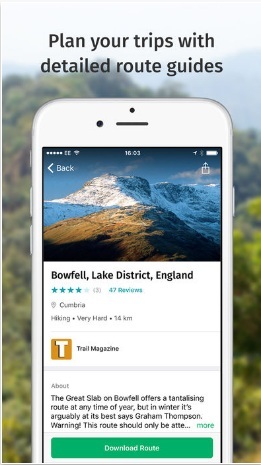 You can search or browse for nearby trails, read trail reviews and write your own. 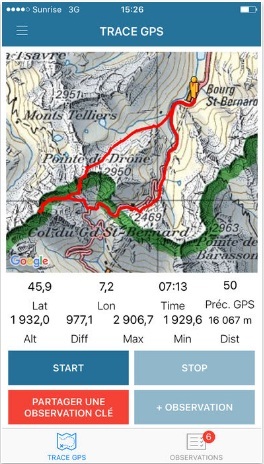 You can also record and upload your own trails using the phone's GPS. 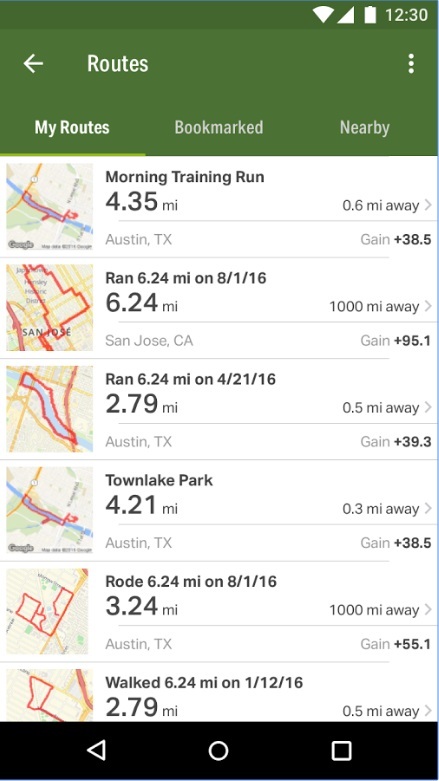 MapMyFitness has an app for almost every activity, including hiking. It uses you phone's sensors to record your hiking route, including information on distance, pace, elevation, navigation and calories burnt. You can also download existing nearby routes. Share your experiences hiking, biking and camping and follow others in a global network of lovers of the outdoors. 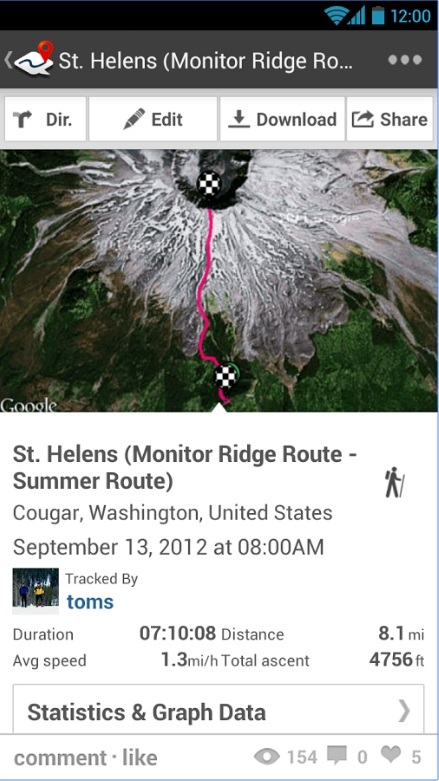 Explore nearby locations, find trails and routes, and network with other hikers. 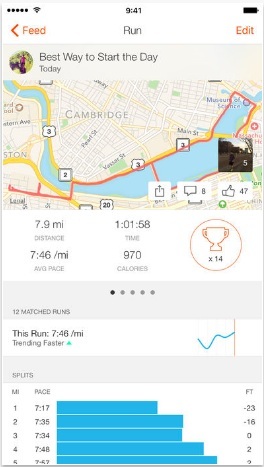 Strava is a great little app for recording your activities with GPS. It also lets you share your photos, connect with friends and join numerous Challenges. 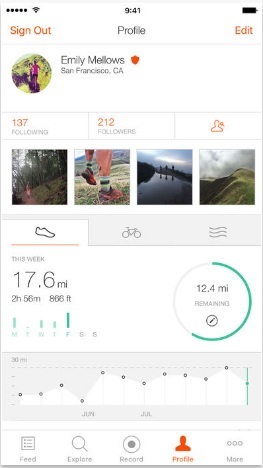 The app is more popular among runners and cyclists, but it can be a real companion on your hiking trips. 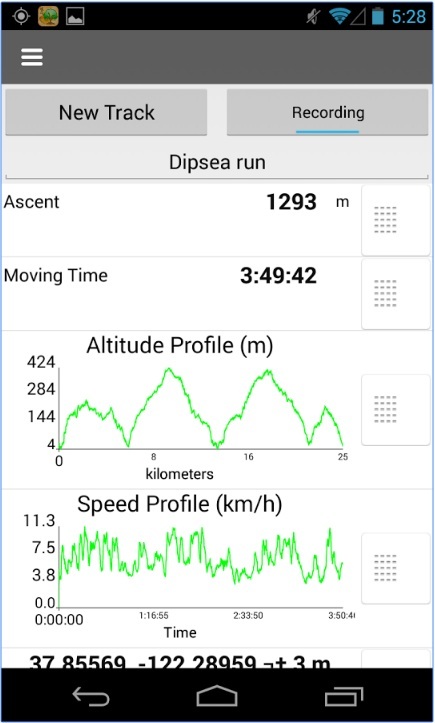 A mobile journaling app designed for hikes and mountaineering trips. Chronicle everything from your trip: route, statistics, pictures, text, audio and video, and relive your experience in the future. Cairn is an outdoor safety app which crowdsources information on where you can receive mobile signal on a map and also logs your location. If you're ever overdue, it can alert your contacts with a map of your location. It also helps you plan ahead for areas on the trail with mobile coverage. A digital guide for the outdoors. 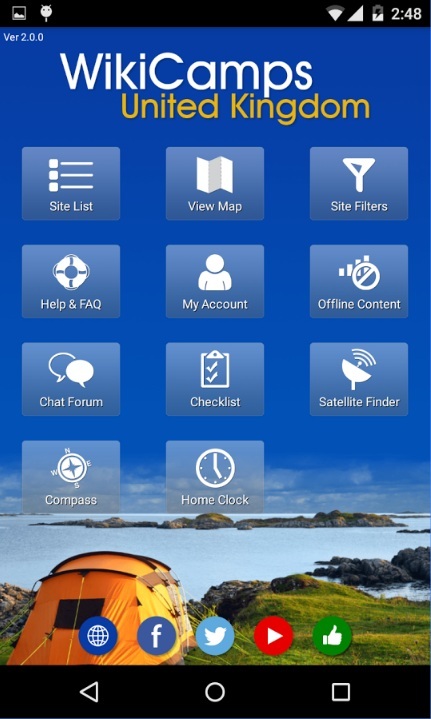 You can download thousands of routes to your phone for easy navigation on your outdoor adventure (it works offline without mobile and data signals). In the UK VR works with Ordnance Survey maps, the kind you are used to looking at in paper form and you can download individual tiles to suit your trail. VR also has an Augmented Reality feature which labels the surrounding peaks as you scan via your smartphone camera. A modern day version of the Letterboxing game, Geocaching is a treasure hunt where players hide caches of small items and tokens and then post the cache's GPS coordinates for other players to find, with more than 2 million active geocaches ongoing worldwide. 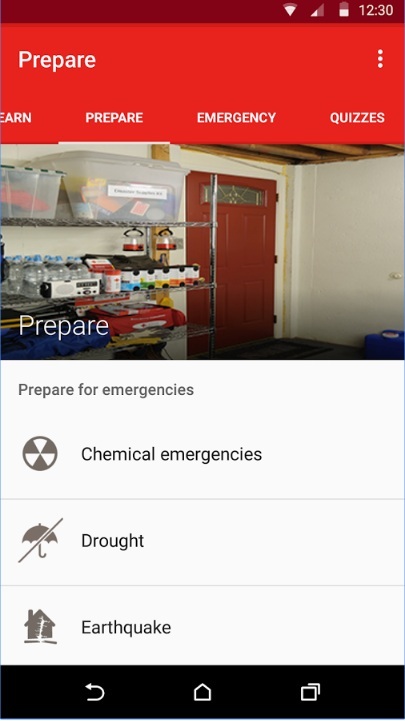 The Geocaching app takes advantage of your phone's GPS features and map apps to provide a searchable database of geocaches, with recommendations for beginners, listings of nearby caches and numerous other features. REI Co-op Guide to National Parks is a comprehensive guide to hiking trails and gems in US National Parks. Complete descriptions, vertical profiles, family tips and much more. 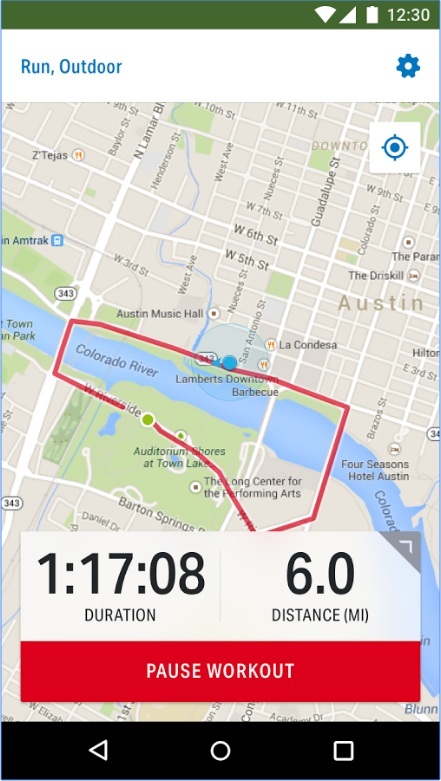 It's a crowd-sourced guide, so while you're at it, add your own photos and favorite trails. An absolute must have. It provides a wealth of basic first aid information for burns, injuries and other medical emergencies. 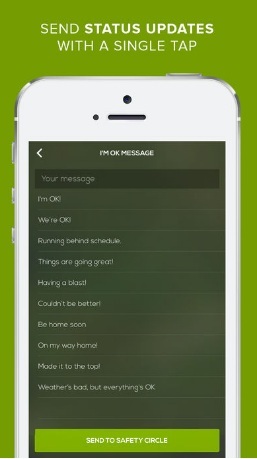 It has a "Learn" mode with quizzes and an "Emergency" mode to help you in any medical emergency situation. Good as it might be you probably want to learn some of this stuff before heading off! Based on the bestselling book by John "Lofty" Wiseman, the paid SAS Suvival Guide app contains the full text of the book optimized for mobile formats and covers a host of basic and advanced survival topics. It also includes extensive first aid information, as well as photo galleries of edible, medicinal and poisonous plants. There is also a Lite version which is free. 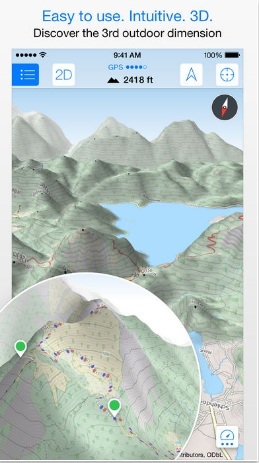 Peakvisor recognizes any mountain peak that comes into view on you mobile camera, using GPS and 3D mountain panorama. 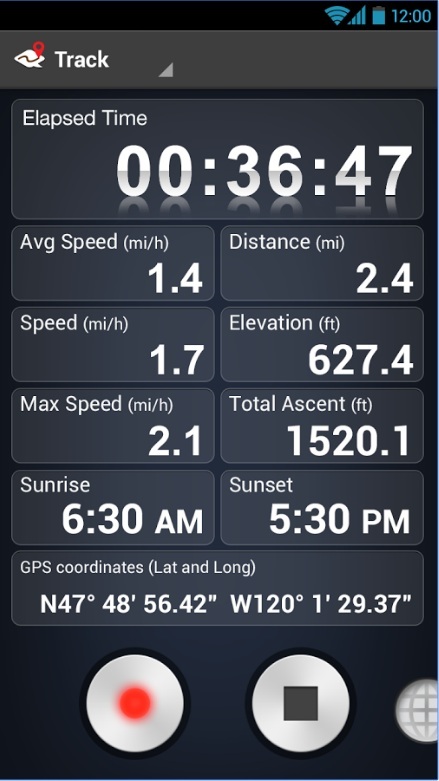 It also has a 3D compass and altimeter. Possibly the "coolest looking" app on the list. The usual route tracking is combined with augmented reality view. 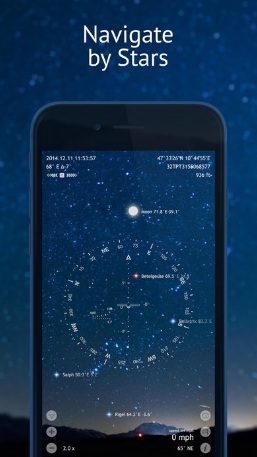 The app also incorporates a heads-up display, a high-quality compass with map overlays, a gyrocompass, speedometer, altimeter, astronomical object finder, a sextant, inclinometer, an angular calculator and more. 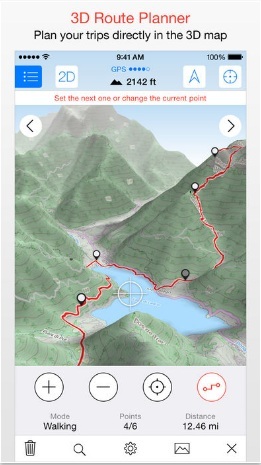 Maps 3D Pro is a helpful navigation tool for hiking. It projects maps on a 3D view for a much easier interpretation of the terrain features such as hills, ridges, trails, paths, and more. 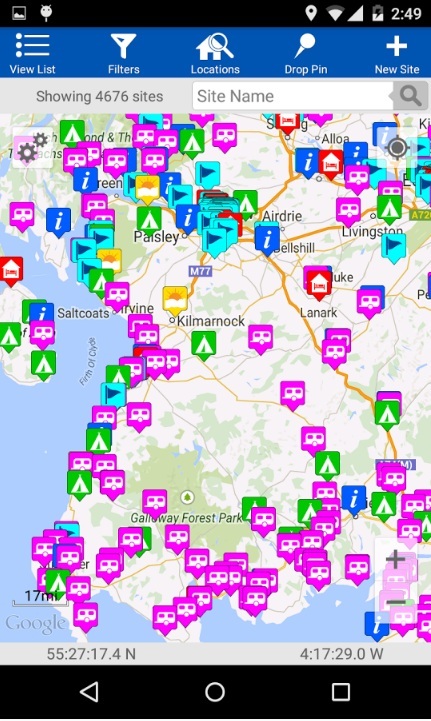 You can plan, save, and share routes, pre-load maps for offline viewing and navigation, and record your trip. The best collection of offline topo maps, satellite maps, and specialized map layers, including USGS, USFS, NRCan, and GaiaTopo. An app for true cartography nerds. Use a host of features for hiking, hunting, mountain biking, offroading, and other outdoor pursuits. 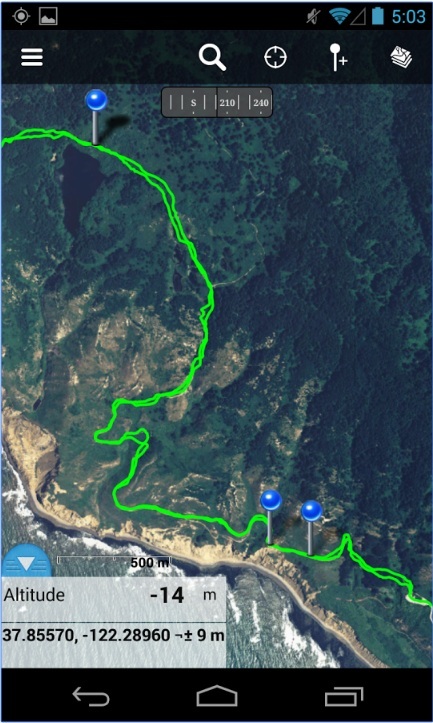 Record tracks, plan routes, and use gaiagps.com to automatically back-up data and share links to your tracks. 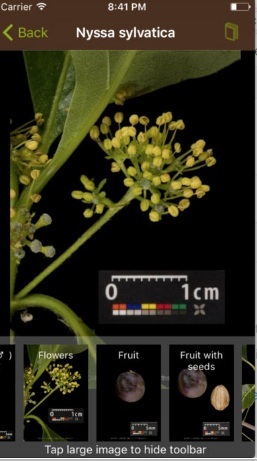 This free mobile app uses visual recognition software to help identify tree species from photographs of their leaves. Just snap a picture of a leaf or a flower, and voila - you're an instant botanist. 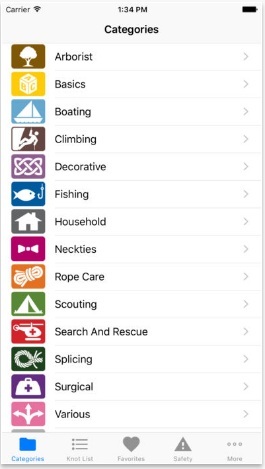 Named best knot-tying app by Outside Magazine. It's the most comprehensive teaching and reference tool for boaters, climbers, fishermen, scouts, hobbyists and suave gentlemen! 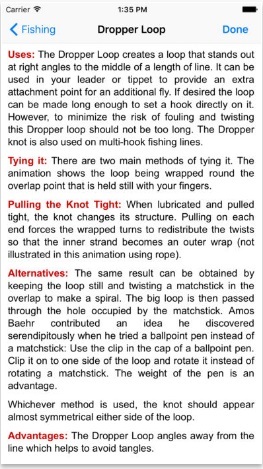 Watch knots tie themselves in simple step-by-step photo animations, or go frame-by-frame as you learn each knot. Tap the info button to get detailed descriptions about each knot's correct use, advantages and disadvantages, and other information. Just like James Bond you will be able to rappel down a mountain and tie your bow tie (we strongly advise against doing both at the same time). 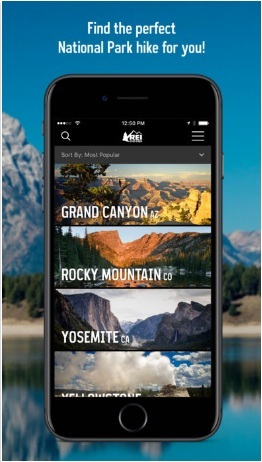 Mountain Hub is a community-fueled app for the outdoors. You can share your adventures, get updates about current conditions and follow adventures from other outdoor lovers. 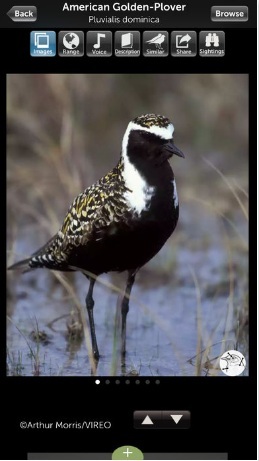 Easily identify hundreds of bird species with in-depth descriptions including information on size, appearance, habitat, behavior, diet, and more. It has over 3,200 images from the world-renown VIREO, Academy of Natural Sciences of Drexel University’s world-wide collection of bird photography and eight hours of the most exceptional, highest quality bird sounds. You can even post sightings, keep lists, and share sightings with friends and followers on NatureShare. WikiCamps is a directory for campgrounds and RV parks and it works completely offline. There is a different app for every region currently available: USA, Australia, New Zealand, Canada and UK. Coleman® Creepy Campfire Tales is a collection of scary stories to read around the campfire. Some stories even have scary sound effects that you can use to make these creepy tales even creepier! 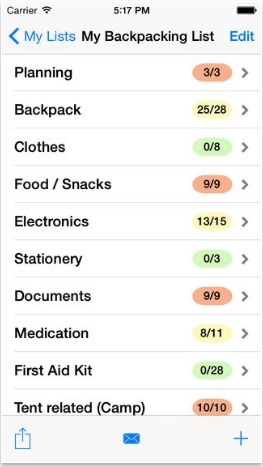 With this app you'll never forget to bring what you need for your next trip. 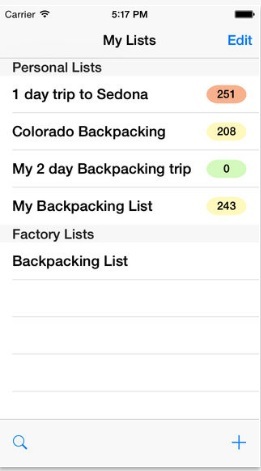 With over 250 backpacking items, you can customize or use one of their checklists. MountaiNow is a new mobile application and website created to meet one of the biggest needs of mountain lovers: Knowing the latest evolution of glacier ice, snow cover, rock surface, or earth trails – for optimal safety. 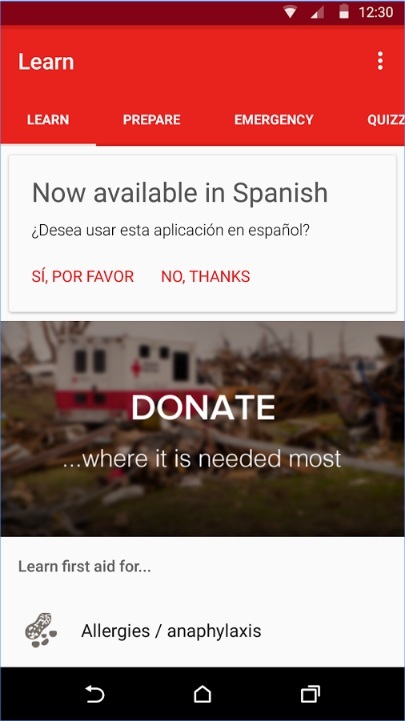 It works by “crowd-sourcing" - You and all people who share their observations via their smartphones – from the field or on their way back. 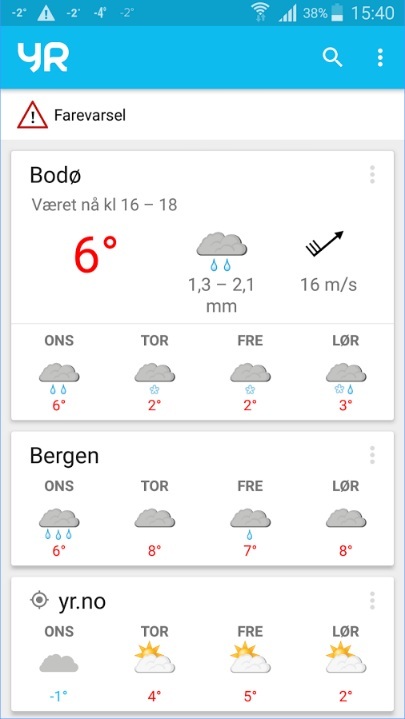 One of the bgest weather apps for you mobile phone. 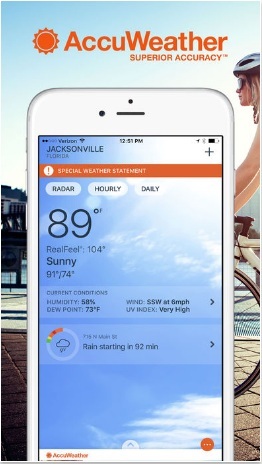 This free, award winning weather app now includes crowdsourcing with AccUcast™ and features AccuWeather MinuteCast®, available for more countries and for more minutes than any other minute-by-minute precipitation forecast. Yr contains weather forecasts, textual forecasts, meteograms and extreme weather warnings. It’s one of the most accurate mountain weather app currently available.